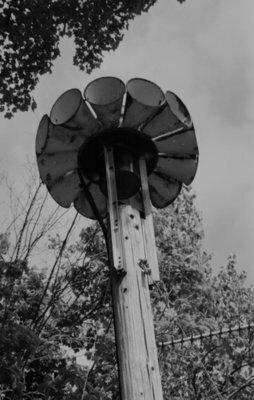 A black and white photograph of the siren at Fire Hall No. 1 in Brooklin. Siren at the Brooklin Fire Hall, June 2006, Carl Ferencz. Whitby Archives A2013_019_003A.